Many people in the United States worked by hand or in small shops, but growing numbers of workers ran machines in factories during the 1800's. Industrialization spread throughout the country. Working conditions changed as it spread. Business owners made more money and employees made less. Employers no longer worked beside their employees. Workers lost rights. Employers and employees grew apart. Factory owners invested more in buildings and machinery than in people. They tried to get more for less. The average factory worker in 1900 was paid about 12 cents per hour and made $400 a year. If business was slow, no one worked and no one got paid. Some, like railroad and mineworkers, were paid in goods instead of money. They were often required to rent housing and purchase clothing and food from the company at higher prices. Other workers were paid pennies per item for piecework. Many made just enough to live in tenements and buy food. 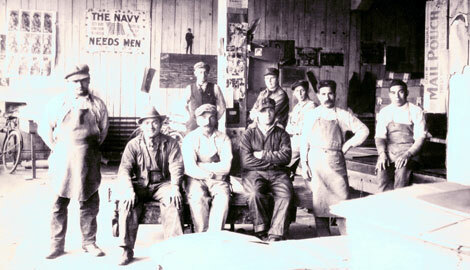 Unions of the skilled trades and craftspeople had existed for many years. By 1900, factory workers were joining existing unions or forming new ones to gain more control over wages, hours and working conditions. Working conditions were hard and often dangerous. The average wage worker in the mid 1800's spent 12 to 14 hours every day on the job, with only Sundays off. By 1900, some states passed laws that limited the workday to 10 hours. Those laws were frequently ignored. Tired workers used heavy tools and ran dangerous machines. They were sometimes locked in their workrooms until quitting time. Newspaper reports of deaths resulting from work accidents were commonplace. No safety gear was provided for workers. Employers were rarely held responsible for injuries to workers. By 1900, many states passed laws banning child labor. The laws were often ignored. 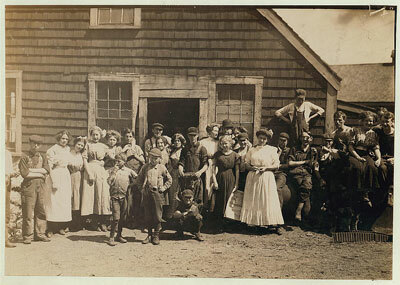 Children as young as six were employed in a variety of settings, from textile and sawmills to farm fields. 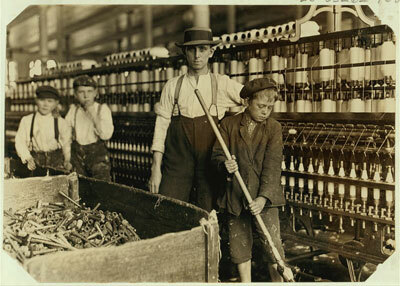 Many children worked full time after the age of ten. They were small and could fit into tight spaces. As a result, they were often used to grease machinery and change parts while the machines were running. They were often killed or injured on the job. Girls worked as often as boys. Even families thought to be “well off” sent their daughters to work by age 16. Children were always paid less than adults, even for the same job. Girls were usually paid less than boys.